Attended the San Francisco Fashion Week event yesterday: “Fashion+Tech Expo & Social Media Panel” on how technology disrupt the fashion industry. There were a lot of new fashion tech companies exhibiting. The Herringbone team were there to show off our client LLXLLQ – Plus size designer shoes from Italy. The feedback was great. Everyone knows someone who always complain about, or have a huge difficulty in finding stylish and comfortable shoes their size. The LLXLLQ shoes comes in sizes 10-12. I promise you – if you know someone with that size, and let them know about LLXLLQ.com, and if they will buy – they will be grateful to you forever. They will find a pair of shoes their style, and they will love them. So please do – share the word. If they do it before Sunday September 30, 2012 and use promo code SFFW12 they will receive an extra 35% off. Ride on the wave of fashion! Today Anna showed me the below video. Am I the only one thinking of the Old Spice Commercial (now with almost 43 million views!) when I see this Gevalia commercial? It is not Old Spice. We are talking about strong, dark, delicious coffee. And no, it’s not Joe – it’s Johan. If you want to get your venture done – it’s all or noting. If you start a crowd-funding campaign on Kickstarter – it’s all or nothing. Either you reach the finish line – or you don’t. Either you receive all the funds – or none. 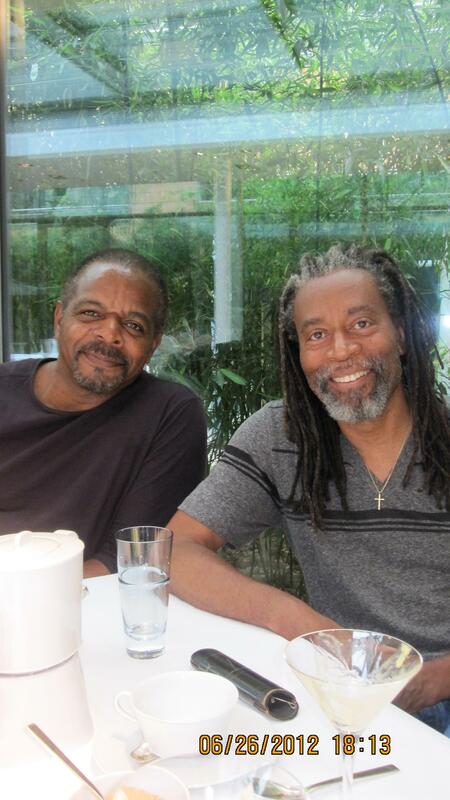 These are two great local musicians in the Bay Area, Nicolas Bearde and Bobby McFerrin, normally singing together in the Bobby McFerrin’s renowned vocal ensemble “Voicestra” as well as having their own solo careers. I am going to have a vocal class on stage presence and performance technique with one of them! And receive an Autographed Pre-Launch CD. For $100. Why? As a “Thank you” for supporting the production of the next CD?!?! Anyone else signing up? Check it out! You might prefer a different bonus… (House concert, catered dinner with entertainment, concert tickets, CDs and more). Click here for the latest update I received from the #YouAreSensational campaign this morning. So… either Nicolas Bearde reaches his finish line – or I don’t get my vocal session! :O Please like, share and or pledge if you would like to support this. Every act counts. – Thank you! What does music mean to you? Just saying… oh yes – here is the address: http://kck.st/N0h9X4. To me? I think music is the beat of love and life. Something to support and enjoy.